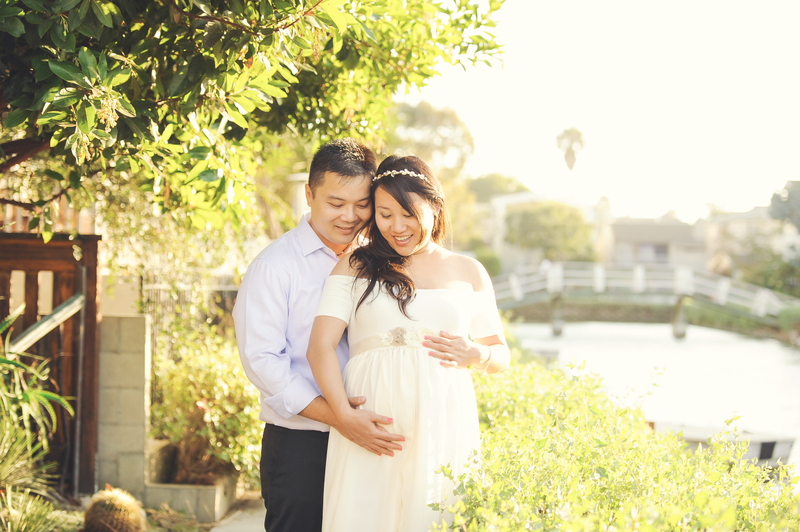 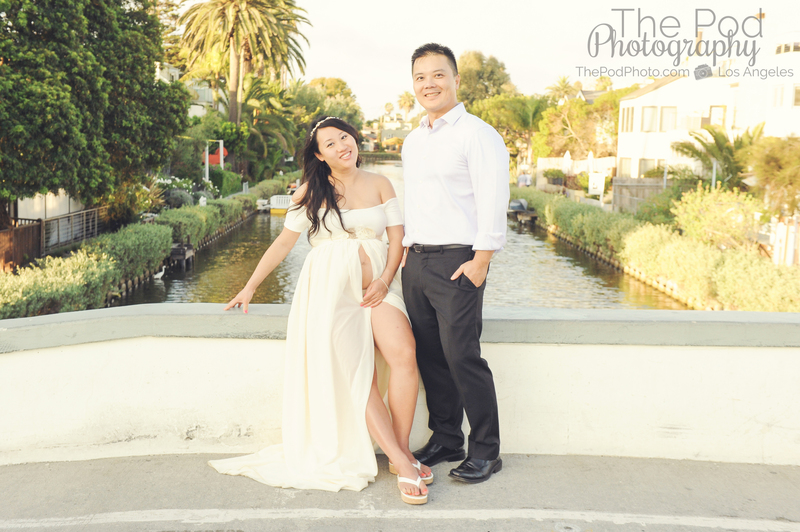 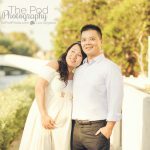 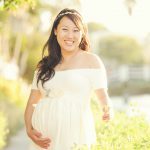 Bohemian Maternity Photo Shoot at the Venice Canals | Venice Beach Pregnancy Photographer - Los Angeles based photo studio, The Pod Photography, specializing in maternity, newborn, baby, first birthday cake smash and family pictures. 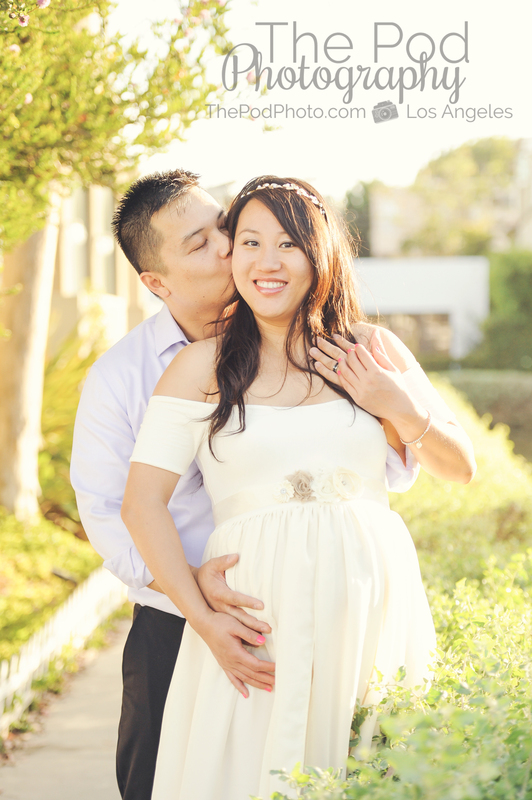 This year has been a fun one for us since we have been re-vamping our maternity style. 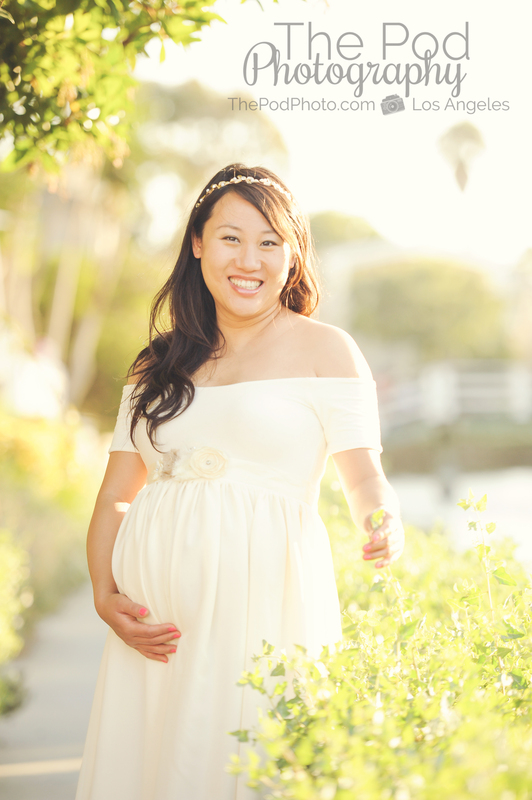 In the past, I’ve been a fan of tighter, colorful dresses for maternity photo shoots – but recently I’ve been loving flowy, cream-colored dresses paired with bohemian headbands. 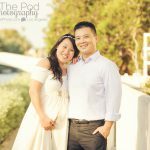 I just feel that the color white is so classic and timeless – and I especially love how a white dress looks against the background of a colorful location. 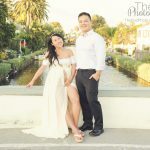 We recently purchased a ton of these flowy open-front dresses from Sew Trendy and I am just so in love with the elegance and sexiness of these dresses! 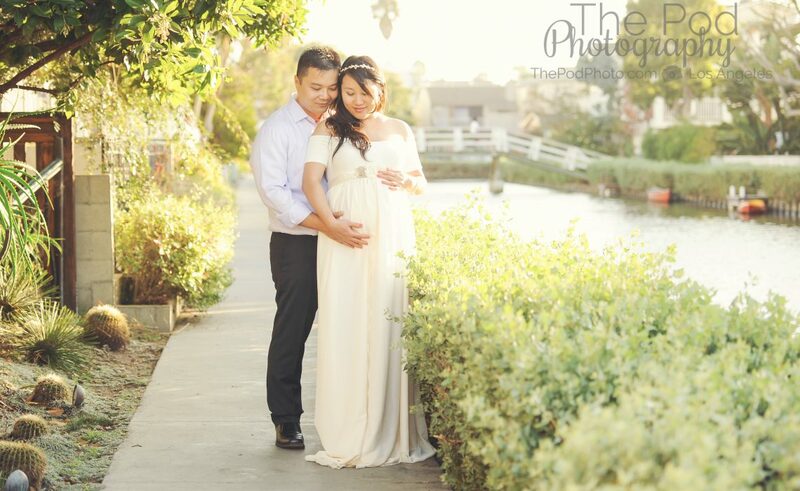 They are for client’s use during their shoot, and this mama-to-be rocked our cream off-the shoulder dress! 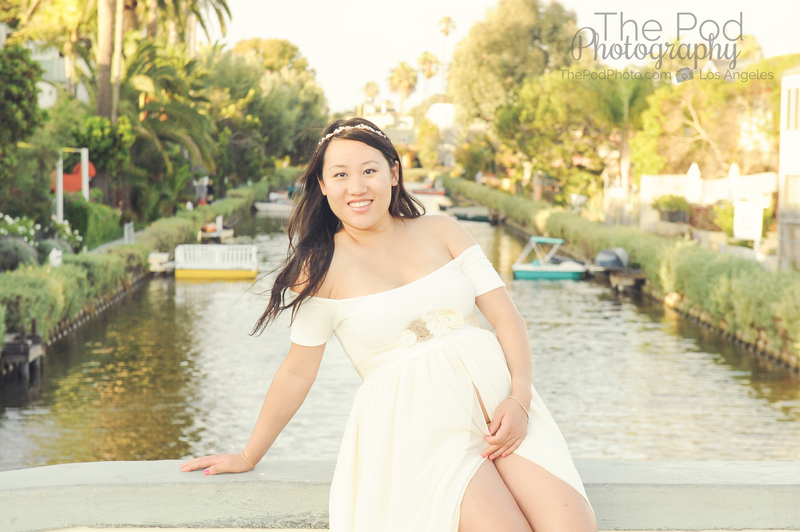 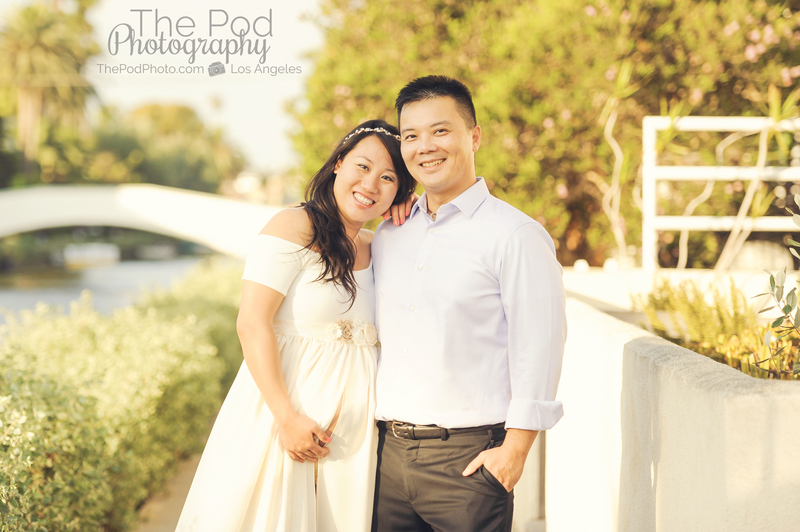 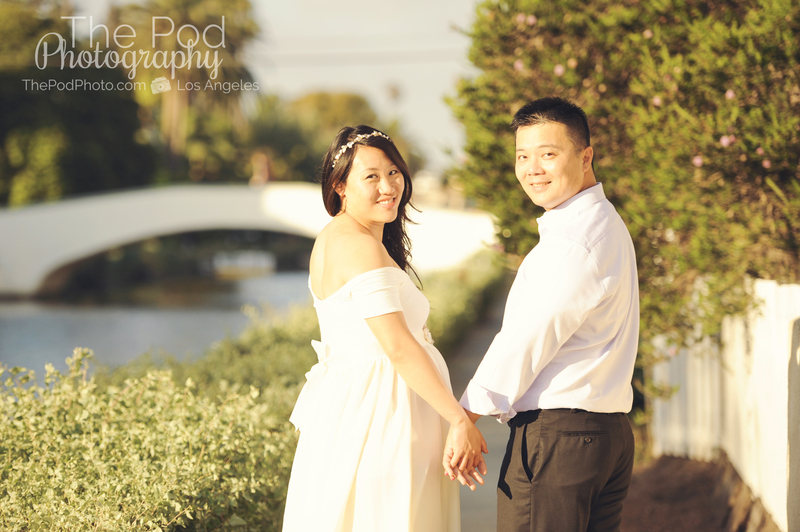 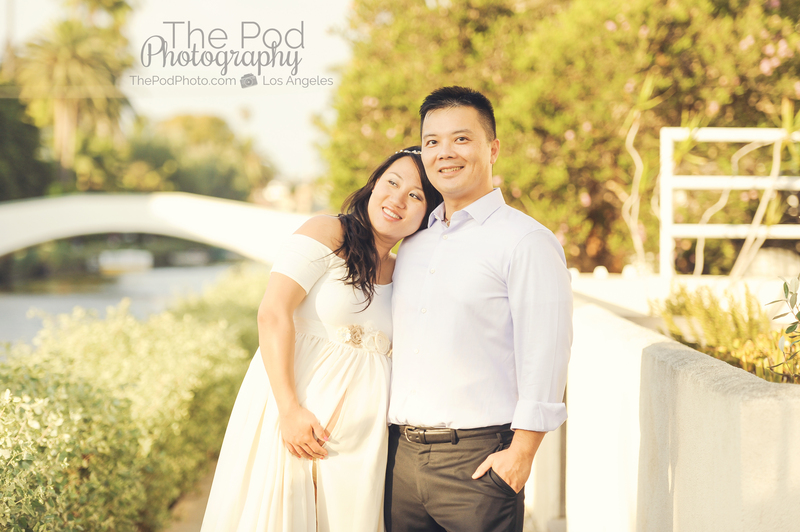 The Venice Canals in Venice Beach, CA is one of my absolute favorite locations for maternity sessions. 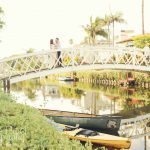 The Canals are so magical when the light reflects off the leaves and water at sunset – and there is always so much texture in the backgrounds of the photos from the bridges, homes and foliage. 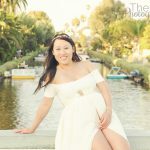 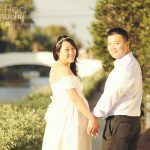 The Canals are a favorite location for my clients who like bohemian style dresses and headbands – all things we provide for the shoot. 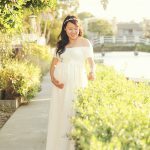 Take a look at more of our maternity photography on our website and give us a call at 310-391-4500 to talk about your maternity photos! 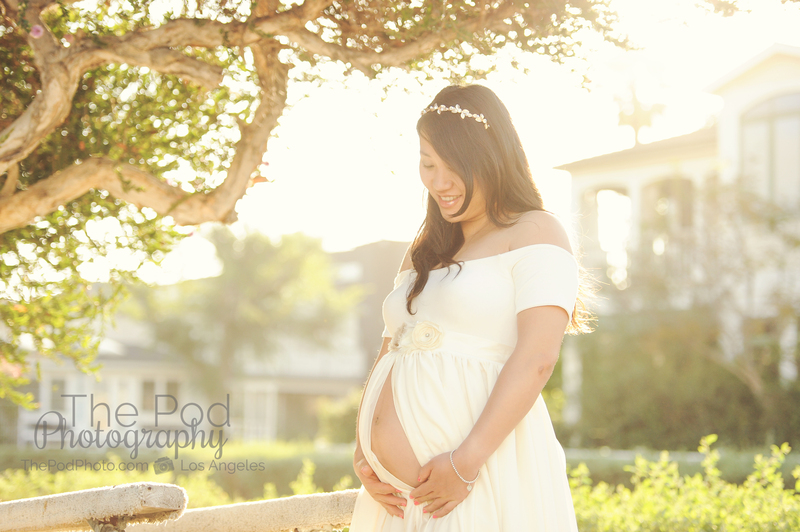 We are a photography studio specializing in maternity photos, pregnancy belly shots, couples portraits and infant photography. 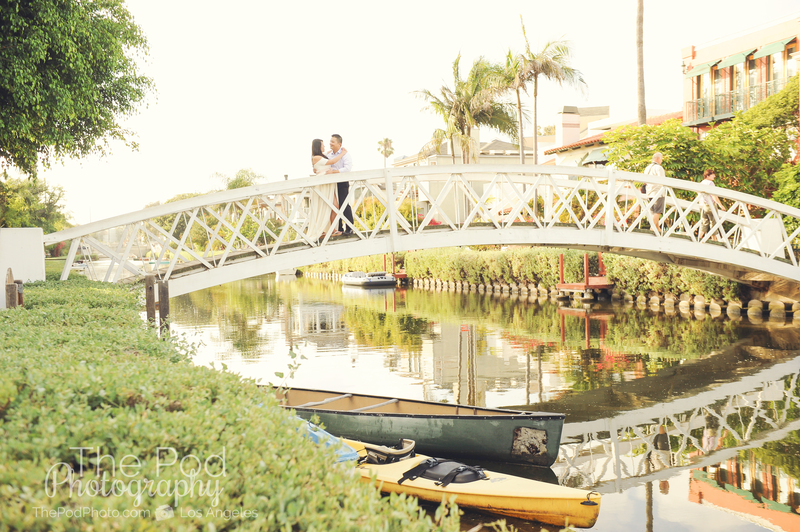 Our studio is located in Culver City – but we travel on location to several spots in Los Angeles including the Venice Beach canals and surrounding areas of Abbot Kinney Blvd.